Whether you are going to France for work, study or pleasure, Living and Working in France: Chez vous en France will be your trusted companion. Genevieve Brame's book, first published in 1993, shines a practical, political and cultural spotlight on French values and customs. The author gives you the keys to unlock the mysteries of the country she knows best - her own. She introduces you to your new surroundings and helps you find your way through the labyrinth of administrative and immigration procedures. Sections on the socio-economic environment, the European Union, language, travel, health, home, education and the French lifestyle will provide answers to all your questions. 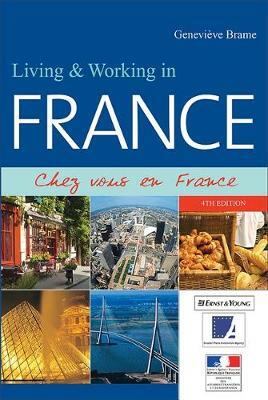 Living & Working in France: Chez vous en France offers an attractive and realistic image of the country. It contains all the essential information you will need, plus the little details that reveal the diversity of the French experience and take you beyond the hackneyed cliches. This book is aimed first and foremost at welcoming newcomers, but it is also for those who have been there for a while, to help them prepare for their naturalization interviews.